Connecting the world’s financial systems by solving the challenge of interoperability with our decentralized, blockchain-based financial operating system. 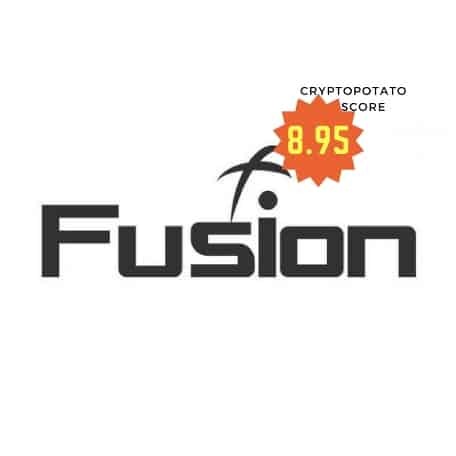 Description:	FUSION is a public blockchain devoting itself to creating an inclusive cryptofinancial platform by providing cross-chain, cross-organization, and cross-datasource smart contracts. Features:	The FUSION Protocol provides APIs to include different blockchain tokens, different off-chain values and different datasources into one public chain to make it possible for all kinds of people, centralized organizations and blockchain communities to help each other, benefit each other. FUSION is a project led by the CEO of BitSe. 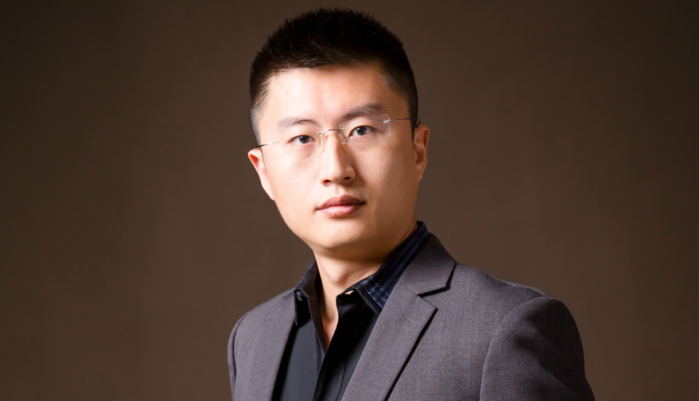 BitSE was founded by Dejun Qian in 2013 and is an incubation blockchain company that founded QTUM and VeChain. QTUM and VeChain are both blockchain foundations. Both were created by BitSE and became independent entities. Both projects have had ongoing product and business development since they were created. Both projects launched their native tokens via an ICO and at the time of writing ranked in the top 20 crypto projects by market-cap. FUSION’s core team consists of 22 full time team members, 14 of them are on the technology side. CEO and Founder of BitSE, created Qtum and Vechain. Previously was a branch general manager at IBM. Holds a Bachelor of computer science, Fudan University. Holds a PhD in financial mathematics and engineering, Shanghai University of Finance and Economics. He is a Research fellow at the China Europe International Business School, and a lecturer at the Management School of the Shanghai University. Former VP of marketing and business development at Orbotech, over 15 years of experience in marketing for various Tech organizations. Holds a Bachelor’s in Electronic Engineering from the Technion (Haifa, Israel) and MBA from Insead. Daniel serves as an advisor and board member to several companies. Previously, he was a Partner and the Global Head of Technology for investment management at Goldman Sachs. For the past 9 years and currently, Michael has been the managing director of Barclays Investment Bank. Previously he worked for Lehman Brothers as an Equity Derivatives Trader. Holds a Master of Financial Engineering Science, Columbia Engineering. Amazing project, I have posted a couple articles previously. CEO has an amazing track record and I believe is a true visionary. Looking forward to the coming months and developments. This would have been good to get on at ico… Now that’s over it still had potential but I’d rather find another one like this pre ico stage. The average block time on Fusion will be 15 seconds, theoretically supporting 2000¬3000 TPS. Block sequence will consist of 9 transaction blocks, followed by a lock-in/lock-out block; This latter type of block requires a special node called ‘Supreme node’ to pack, for which staking of 5000 FSN will be required. The Fusion Foundation officially established the Foundation Intelligence Team and the Industry Adoption team on May 17th, now adding that they will be headquartered in NY. I do not understand everything in here, please brief explanation. shameful that the FSN is not on a larger exchange. I got my ticket for FSN. Lock and loaded. Great article by DJ, CEO of Fusion on why community support and interaction is vital in the crypto space. Perhaps some other projects should take heed of this advice. DJ is on fire !!! The “Don” of crypto-finance - DJ Qian. Fusion is in the running for Binance community coin of the month! The FSN community would appreciate your votes! Question 1: What are the benefits for the companies to lock their assets onto the Fusion Blockchain? Question 1: What are the benefits for the companies to lock their assets onto the Fusion Blockchain? Why are some companies already willing to put assets of over 12 billions US$ worth on Fusion? For Business automation. Previously ERP (Enterprise Resource Planning) tools and other systems helped companies automate their business processes but they were limited by their internal capacities. All companies have their own supply chain, customers and related business partners. These processes all function in silos and as a result cannot benefit from the efficiencies of automation. After asset digitisation, these processes can be programmed in smart contracts to achieve thorough automation, improving efficiency, scalability and reducing costs. Consider that each company or cryptocurrency is like a small lake or little river, they have their own limited ecosystem. Indeed, maybe there is diversity and some are relatively bigger than others. Take a company like Alipay for example, a huge company but theoretically still bound by the limitations of existing as a predominantly isolated ecosystem. Even bitcoin is the same! If you want to send RMB using Alipay to another person, that person needs to have a registered account with Alipay. If they lock-in on fusion, it is just like the lake pours into the ocean, all value in different ecosystems will be inter-connected. FUSION will be the huge ecosystem that enables all of these separate parts to interact together. Value in one ecosystem can exchange with others as long as they are locked-in on the FUSION Blockchain. Complicated financial instruments become feasible on FUSION. In today’s world, even agreements involving 3 different parties often makes costs unacceptably high. However, if all the assets are locked in on fusion, a programmable smart contract involving 10+ parties, handling 20+ different asset types, based on 30+ different conditions, is just some lines of codes. And importantly, code guarantees that it will be executed exactly as it is written. The companies who have committed to lock-in assets on FUSION see the advantages which could make them unbelievably competitive when they are facing their industry competitors. That’s why they are so excited to lock-in their assets on fusion. Question 2: Do you see the Fusion platform being used more than Ethereum and if so, how do you plan to gain marketshare? So far, there are 2 major areas using Ethereum. One is that Ethereum is serving as a Dapp/Smart Contract platform. Thousands of Dapp/Smart Contract are running on it. Although most of them today are useless, we can see it is as being significant in the future. Once the performance and throughput is significantly increased, we can expect it could be very amazing. Another function is issuing tokens. Fundamentally, people are using Ethereum to help them with their bookkeeping ledger for their tokens. It became very hot during ICO booming period. No other platform today including Ethereum has realized value over time. (In Ethereum, future token flows can only be expressed as a smart contract which cannot be shown as an assets in a wallet). 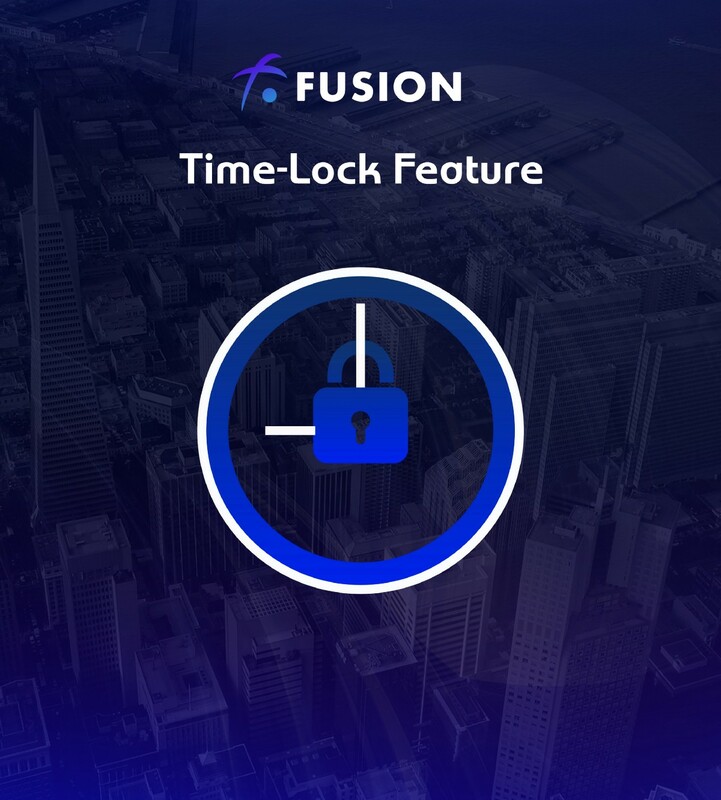 Fusion however, has a “time lock” feature that can realize factoring, bonds and achieve bank acceptance very easily. Even for ICO issuing token, people will find great advantages to issue token on FUSION compared with Ethereum. We all know Ethereum supports issuing tokens on Ethereum platform. After the project has its own main net, projects need to rely on exchanges or other centralized institution to execute a token swap (exchanges usually only support 3 months for a swap or even less). And once the tokens are swapped, they cannot interact with smart contracts on Ethereum any longer. If a issue token on the FUSION Blockchain when their Mainnet goes live one day, they don’t need to ask exchanges to execute a swap, they can use FUSION’s ‘Easy Swap’ function (Just a simple mapping process). Tokens that are issued on FUSION are just like locked-in token. If a project want to transition to their own native chain, users and holders can easily lock-out their tokens if they want at any time. There are so many more examples to add to the points above. Just remember one thing: Fusion is targeting the Finance industry which is much much bigger than crypto today. Question 3: If we have a supreme node do we need to run it in our machine? If so what is the expected hardware spec? Can we keep it actively running in some AWS or Azure space and if so can you give us a sample packages and costs that would satisfy this criteria? Yes, you will need your own machine. So far any information that relates to how to run supreme nodes has not been released yet. Please stay tuned as we will release a manual for running supreme nodes including suggested hardware spec. Question 4: Is it theoretically possible to pool together for a Supreme Node while locked-in to FUSION blockchain, or under a Fusion risk-free smart-contract? Theoretically, it would be very difficult or maybe even impossible to pool together to run a supreme node. But for staking with POS, it will be very easy. The system accepts tokens with time-lock to stake. Which means even if you don’t know how to stake, just set a time-lock on your FSN (like from now to 3 months later) and send it to others who knows how to stake. This is not like lending, the transfer of tokens is more like a sale. The remaining part of the tokens (from 3 months to forever) in your hand will automatically become full functions of FSN 3 months later. The fragmented nature of the cryptocurrency industry is one of the biggest reasons cryptocurrencies suffer increased volatility from the whim and caprices of Wall Street, biased media reports, and outright fear-mongering. There are more than 1,400 cryptocurrencies and altcoins in the market – most of these coins are variants of the same blockchain trying to solve the exact same problems using different names and branding. Unfortunately, the multiplicity of coins, inability to present a united front, and the inherently decentralized nature of cryptocurrencies is playing into the hands of people intent on destabilizing cryptocurrencies. FUSION, a new blockchain project seeks to fix the fundamental fragmentation problem of cryptocurrencies with an inclusive crypto-financial platform. FUSION submits that interoperability between different cryptocurrencies for cross-chain and off-chain transactions could solve the scalability problem for blockchain in finance and economics. A cross-chain and an off-chain crypto-financial platform are essential to facilitate the mass-market adoption of blockchain technology for the Internet of values. Starting with smart contracts, FUSION’s crypto-finance platform can be used to create blockchain-based contracts that can render different kinds of financial instruments and logic. With FUSION, smart contracts will be truly smart because they can be created to facilitate and execute across different blockchains and legacy off-chain systems. Cross-chain and off-chain interoperability will, in turn, generate complex crypto-financial applications across the insurance, banking, lending, trading, and wealth management sectors. Participation in FUSION’s crypto-financial platform will be facilitated using the FSN token. The FSN token among other things functions as the GAS for smart contracts in much the same way that Ether serves as gas on the Ethereum blockchain. FSN will also be used in FUSION’s hybrid consensus mechanism and as the proof of stake. In addition, miners will earn FSN and FSN will be used to buy/sell other ancillary services on the platform.